Commodity and stock market volatility has been a Texas-sized roller coaster vividly illustrating global supply and demand factors. --Age (125 years). The original Whiting Refinery was built in 1889, thirty years after the discovery of oil in Pennsylvania, so it has been around since before Rockefeller and Marland began transporting oil to it from Oklahoma, and then Texas, for refining. --Location (demand)—The refinery is near the large, key markets of Chicago, the U.S. Midwest, and central Canada. Because there is so little refining on the U.S. East Coast, it is also critical to that region's gasoline, jet, and diesel supply. --Location (supply)—The Whiting refinery is supplied by pipelines from the US Gulf Coast, which bring in every grade of world oil, b) by heavy, sour Canadian crude, c) by light, sweet North Dakota crude, and d) presumably by a very small volume of the Ohio-Pennsylvania light Utica and Marcellus crudes. --Size—The refinery is large, with 410,000 barrels per day of crude oil input capacity. --Complexity—Whiting has been frequently renovated and upgraded. Its most recent upgrade was to increase capacity for heavy, sour crude oil. This limits the appeal of and capacity for the light sweet crudes from North Dakota, Ohio, and Pennsylvania. --Summer utilization and repair—With low oil prices and a still-strong summer gasoline season (gasoline is made ahead of time in the spring, but a big driving season this July and August continued the need for it), refineries hit their highest sustained utilization ever: 17 million barrels per day out of 18 million barrels per day of capacity, or over 94%. 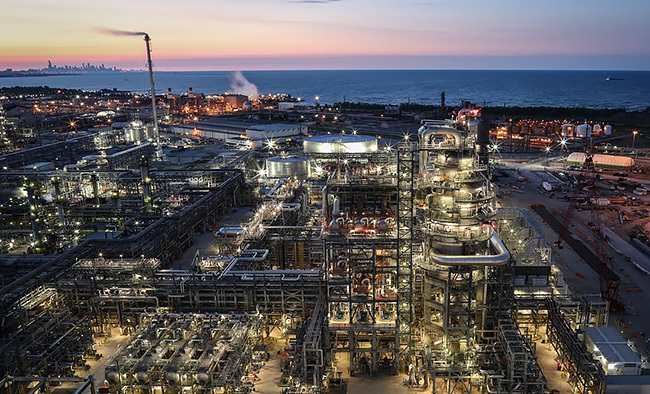 When the major distillation unit of the Whiting refinery, #12 Pipestill, was shut down in August for heat exchanger leaks, oil prices fell everywhere, especially for Western Canada Select, which went as low as $20/barrel. The unit is now back online. As one of the two newest large U.S. oil plays, Bakken/Three Forks remains interesting in its cycle of boom and now slowdown. Its performance and clear direction is emblematic of the U. S. unconventional light oil market. Prices: whereas two months ago, West Texas Intermediate (Cushing) crude prices were in the $60-$65/barrel range, they have fallen below $40/barrel at times. Subtracting transportation costs (up to $10 per barrel for rail) gives a North Dakota price below $30/barrel. The overall stage is framed by major economies—the U.S. was healthier in the second quarter than expected with 3.7% quarter-over-quarter GDP growth. China, which represents 15% of the world's economic output and is second only to the U.S. was much less healthy than its official government numbers: 3-5% actual growth versus an announced 7%. Other major factors behind low prices are the still-high supply from Saudi Arabia—which has a) increased production despite lower prices to keep market share given b) the prospect of increased supply (+700,000 BPD) from Iran. Despite low prices, many North Dakota oil producers are reducing expenses and operating core prospects. The subscriber focus this month is the position of several of the most challenged producers.